Brushy is an innovative business aiming to bring beauty to the everyday Australian women. Our team of Artists will educate and pamper guests, teaching them about their own natural beauty and demonstrate tricks to enhance their natural beauty features. 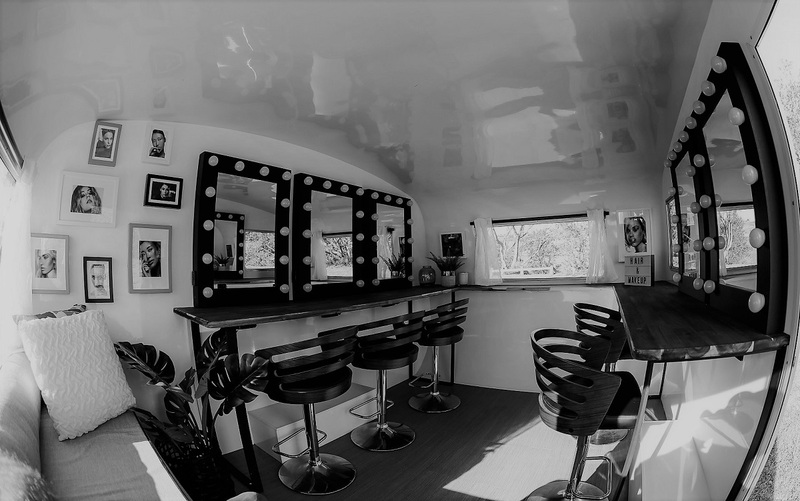 We are fitted with a full makeup and hair studio fitted with 5 professional stations bringing the comfort of a beauty room to your designated location. Bringing inspiration and innovation to people and business. Brushy is designed to cater to brand activations, productions on location, photoshoots and commercials, personal makeup classes (The Brushy Experience), corporate and private events, weddings, formals, Hens parties and bridal showers. Brushy helps bring brands to life by providing an amazing interactive experience aiming to encourage customers to establish a long-term emotional connection with brands. Brushy supports brands become known to people by increasing awareness and engagement through your tailored experience. Based in Sydney and Blue Mountains, Luana is an International Makeup Artist and Hair Stylist who is passionate about all things beauty. Since studying Makeup at Cameron Jane, Luana has gained extensive experience in the fashion industry through fashion shows, photoshoots, runway and events. Her work has been published in print media and on line, in both local publications and overseas. Some of her commercial & Fashion clients ranging from Bec & Bridge, LG, Morrissey and more. Luana keeps up to date with new trends and works closely with fashion photographers, models and stylists. With a major focus on fashion, beauty and editorial she creates anything from a natural look, to the most exquisite makeup looks for fashion shows. Not only a fashion girl, she also works with TV having a range of clients such as Sky Racing, Channel 9, FOXTEL and more. After years in the industry Luana decided it was time to take a step further and create something unique. Something for the everyday women, something fun and creative that provides a great experience with makeup: BRUSHY was born. The idea behind Brushy was to provide a unique experience to customers, by bringing beauty to every Australian women helping them discover their own natural beauty. The BRUSHY experience aims to bring some education and beauty to the client’s doorstep.